Bachelor´s degree in Physics, University of São Paulo - USP , 1986. Master´s degree in Physics, University of São Paulo - USP 1990. 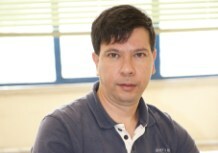 PhD in Physics, University of São Paulo - USP, 1994.